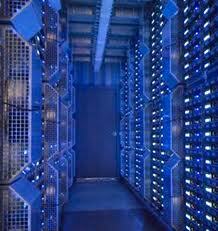 I’m shocked that 2% of all electricity used in the US is going to data centres. Surely with the ever increasing capacity of servers and storage there should be a drop off at some point. there won’t be a drop off. More and more data is produced all of the time, not doubling but multiplying hundredfold and advances in storage capacity are not growing at such a pace. can you imagine how much is involved in downloading a 3D film? When you put it that way I agree it is only going to get worse. Interestingly, I have been researching cheap hosting recently and noticed that a lot of the big players are putting themselves forward as green companies. I was a little perplexed as to why they would be doing this however after reading your article it is obvious that they are expecting all of this to become public knowledge pretty soon. 2% of the total US consumption seems a huge amount I believe but “the vast majority of this resource is wasted” doesn’t seems to be logical if we experience the explosion of networking node over the globe. Imagine if we try to shut down these data centers & if some of them were used in a CDN (Content Delivery network), we’ll then be waiting for our turn to access the content. It is the technology that accelerates our experience of accessing the booming internet and if this cost saves the time (which is equivalent to “money”), it’s not at all a problem to let them work 24X7. They have to work constantly and have over capacity, but some people argue that they are rune inefficiently.There have been experiments in running centres at 90% capacity that have gone without any problems. The statistics are alarming especially where the writer writes that the combined electricity consumption of the data centres is equivalent to 30 nuclear power plants worth of power! The excess electricity used in running the data centres could be mobilized and utilized in supplying electricity to towns in countries which face constant electricity shortages or sometimes have access to no electricity at all. USB thumb drive like this one will hold 100 times what a data center would have 20 years ago.